In this week's article we have a multitude of new buildings, ships, weapons and more... including a t-shirt! We have a shipload of new content to share with you today (be careful how you say that), including more fantastic models of all varieties. This is a sneak preview of the interface that will greet you in our upcoming playable tech demo. 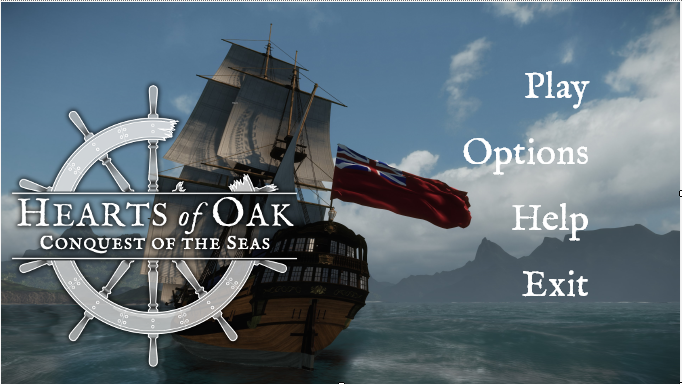 Captain wrote: It will work hand-in-hand with the coming features of the packager to be able to adjust the startup settings of the game by adjusting the *.cfg files before it fires the executable. This gives us a nice clean startup appearance without making people click the sdk launcher icon. Here are two new high-detail buildings, both will full interiors and interactive doors. Here's a new shot of the test island, showing a natural barrier that will keep the player from straying too far from the main playable areas. Each rock you see has been carefully placed by hand to make the formation look organic and non-repetitive. If you're worried that barriers like this will restrict your freedom to explore the game's islands, rest assured that there will still be huge, interesting areas of land to traverse! This ship is drawing ever-closer to completion with the addition of chainplates, shrouds and deadeyes, which form part of the masts' climbable rigging. Other new details added include the capstan, stove, gratings, wheel, and pinrails. This is a render of the axe model we showcased last week, which shows off the range of materials used on both the axe and its holster. 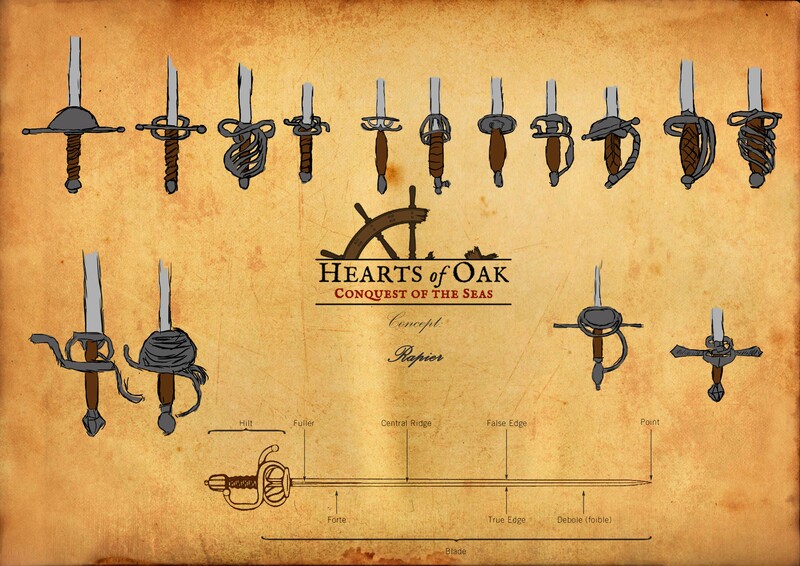 Below are some work-in-progress rapier models, demonstrating how some of the concepts are being brought to life. 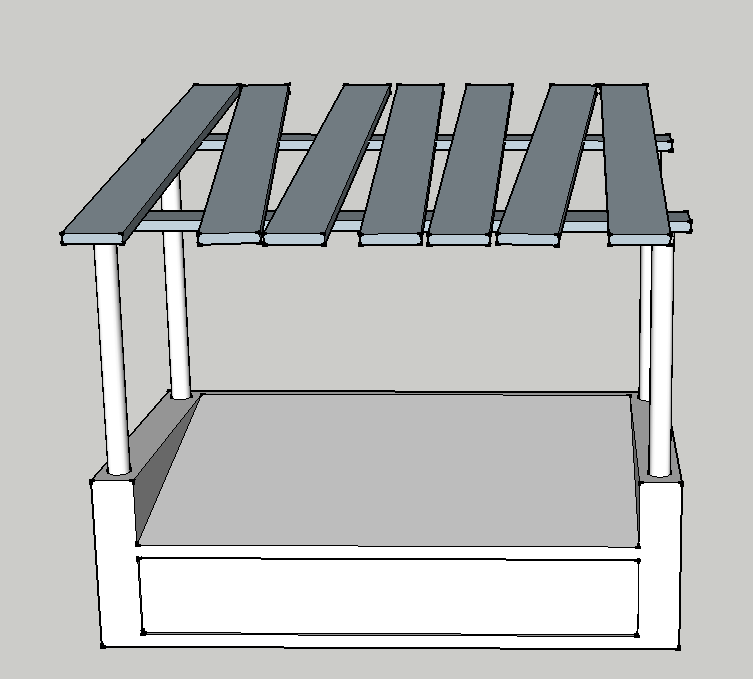 Here's a simple market stall in its early modelling stages. 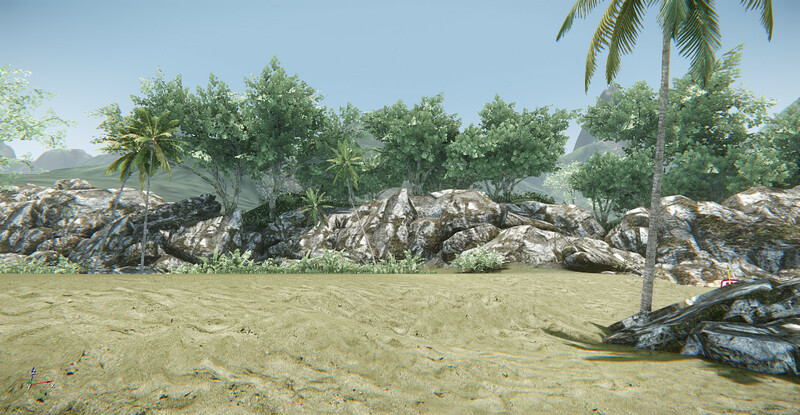 You'll probably see variations of the completed model scattered throughout the game's islands. Since several of these roles remain largely empty or in need of more hands on deck, we're now including more details about each role and how it fits into the big picture. As a reminder, all of these developer roles are NON-PAID positions. We need people capable of modelling and animating character models for use in the latest CryEngine build. Currently we have no dedicated artists in this role, yet it's probably the most crucial one to fill at this point. You will be expected to carry out the engine export process yourself, or to learn how to do it yourself. Familiarity with the engine is desirable, but not necessary if you're willing to learn your way around it. You will not be expected to produce concept art for these characters, but you are welcome to do so. If you're not a character modeller but know someone who is, please do tell them about our project! As well as the above, we need artists capable of creating a wide range of other assets for the game. You will be expected to produce the 3D models and UV maps only, and use textures provided by the team. If relevant textures do not exist, you may make them yourself or ask a 2D artist to do it for you. It is highly desirable for you to handle the export process yourself, or to learn how to do it yourself. We can offer help and advice concerning your chosen asset(s), as well as written tutorials on proper model set-up for engine export. We need artists willing to help design and produce a working GUI and HUD for the game. You will be expected to know how to design a working interface with a suitable program, and it is desirable for you to be capable of importing it into the engine. You will not be expected to produce concept art for the interfaces, but you are welcome to do so. We need artists willing to support our 3D modellers by producing high-quality textures and/or materials for their assets. You will be expected to know what kinds of textures to produce (including diffuse, specular, normal map etc.) and/or how to create realistic materials in the engine. You will not be expected to produce UV maps for the 3D assets, as they should be provided by the modeller (unless you choose to make them in cooperation with a modeller). We need people capable of working with our development team to help produce core game systems. You will be expected to have a knowledge of the relevant programming languages, and preferably an understanding of how to work with the engine. If you are unfamiliar with the engine, you must be willing to learn how to work with it yourself. You will not be expected to design the game systems yourself. We will provide details of what needs doing and when it needs doing. No formal qualifications are needed; you just need some free time and enthusiasm, though experience is desirable. 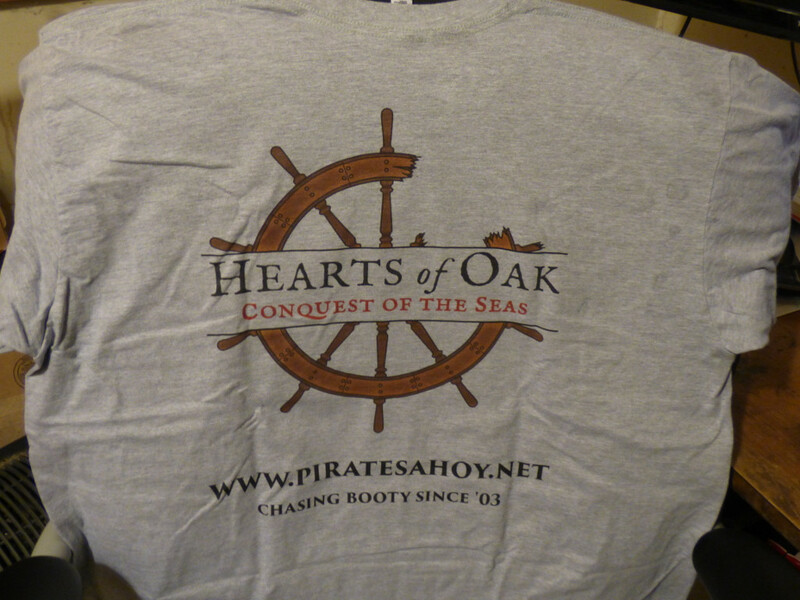 Do you wish you had an awesome Hearts of Oak t-shirt? Of course you do! Unfortunately, this shirt designed by Thagarr is currently a one-off, so you can't have one. It is, however, extremely cool. If you happen to see Thagarr wearing this shirt out in the wild, be sure to give him a high-five! - Happy Independence Day to our American devs and fans! lol. "Here's a spiffy shirt. And you can't have it!" Looking good lads I can't wait, I know you probably get asked this a lot but how long until the full release like a year or two? Full release will take a while, of course. Especially since we intend to keep working on it and improving for an indefinite period of time. So what would then be the "full" release? At the moment we try to avoid looking ahead too far. This is a big project indeed and we need to keep it manageable by simplifying. So we are aiming for an initial Tech Demo release in the next few months.